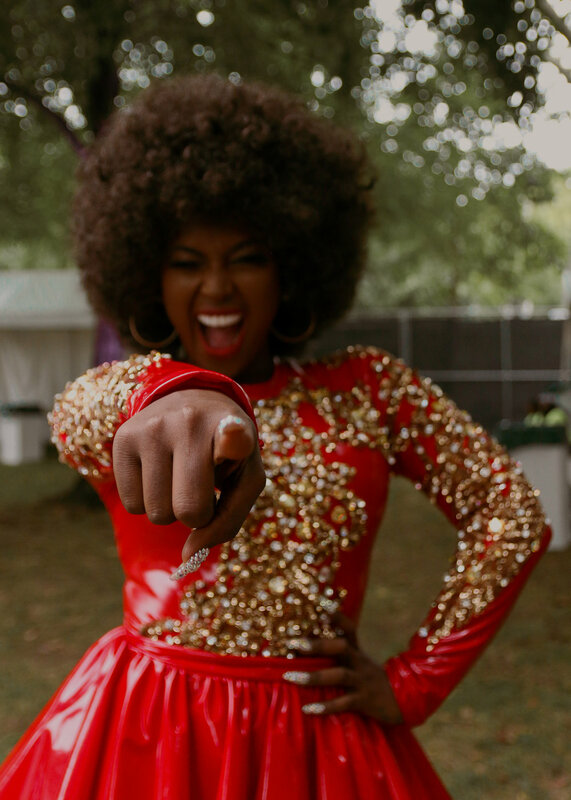 This past weekend I had the opportunity to pull back the veil with the Afro-Latina powerhouse, Amara La Negra and get down to the nitty gritty. We talked about finances, legacy, family and success. Essentially I'm going to give you a glimpse into Amara's magic & brain. I want to preface the interview by letting ya'll know that Amara killed that performance. It was hot as hell and Amara werked that stage AND made it look easy. Now that's talent! Okay MOB, take out your steno pad & pen! Amara dropped gems and we all could learn a thing or two from her hustle...*rubs hands like birdman*. TGM: Can we please acknowledge that amazing performance!! You rocked the stage, your presence is amazing! How do you feel about performing at Made In America? You’ve been putting in work for a very long time, and grooming yourself to be a powerhouse, (she’s been in the game since she was four!). What do you tell yourself in times of fear and discouragement? What motivates you to pursue your goals? Being Afro Latina is not new to us as a community, but you have rejuvenated the conversation and have brought it to the forefront of the larger American culture. What does it mean to you to be Dominicana? Key#2 Let’s not be fake rich for the gram. We all have bills. Save them dollars sis and go thrifting! Can we have the top 3 performance essentials that you always keep on hand? 1. DANCERS. I used to be a dancer for the Latin Grammys, Premios Lo Nuestro etc. I was born doing beauty pageants. I’m a showgirl. I understand the importance of giving/putting on a show. 2. HEELS - Who doesn’t feel like the baddest with a fly pair of heels on? Key#3 If it's not heels, find the footwear that will make you feel on top of the world when you walk into any room (or walk on any block). How could you not love her?! I left Made in America feeling like I got a new bff. Amara feels like the older cousin you always wanted growing up. It’s rare that you meet someone with an authentic personality and vibe such as hers. Stay tuned - Amara has a lot in store for us. Keep tabs and follow Amara on IG @amaralanegraaln. Photos by Dee Williams. Follow her here!